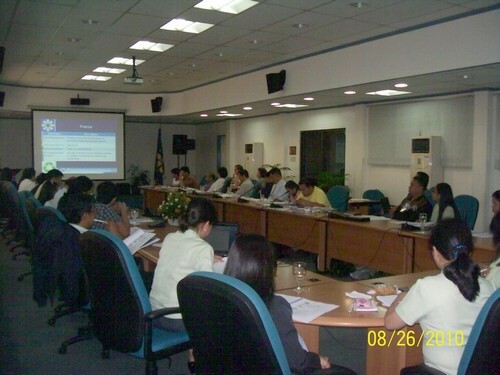 PAGASA attended the Seminar Workshop organized by the Dept. of Energy on its continuous Energy Efficiency Project focusing on the Transport, Storage and Disposal of hazardous chemical>mercury found in popular compact fluorescent lamps. The whole morning delved on DoE’s approach to the education & handling of used light bulbs, the legal and inter-agency involvements in dealing with this problem and an open forum to keep the bright ideas flowing in curbing exposure of the environment to mercury. Headache centered on the efficient collection of used light bulbs for recycling or proper disposal. In the Phils., 70-80% of these bulbs are bought from small hardwares and neighborhood stores.